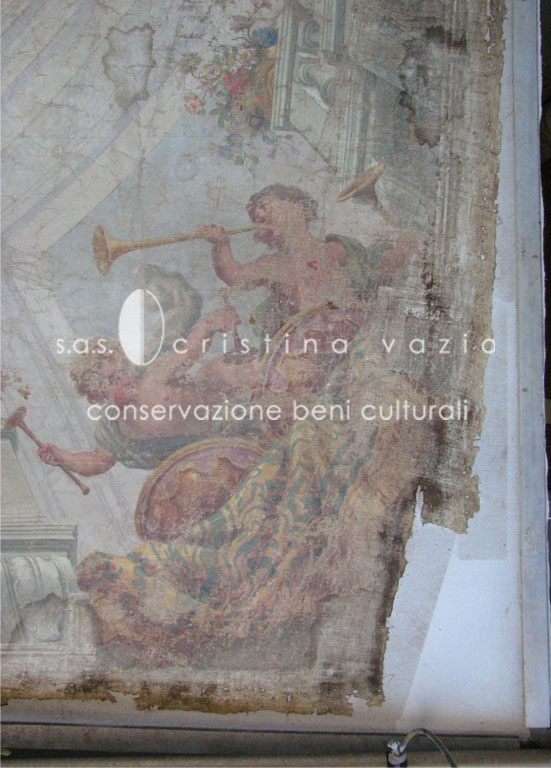 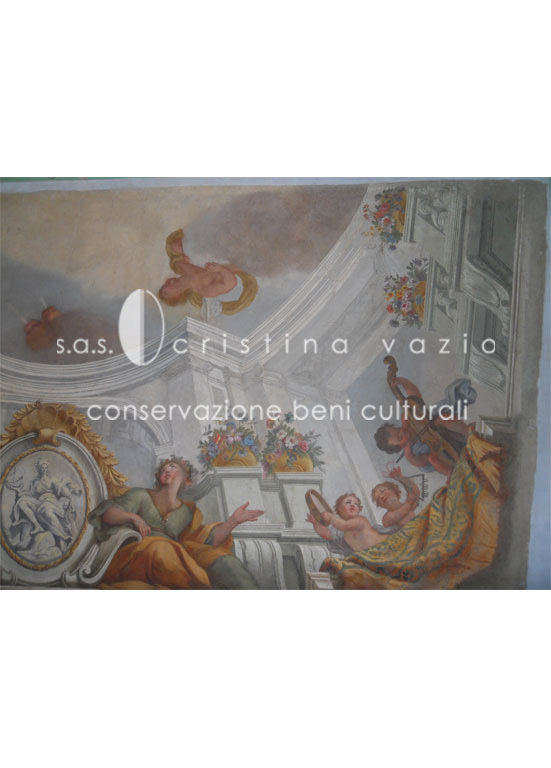 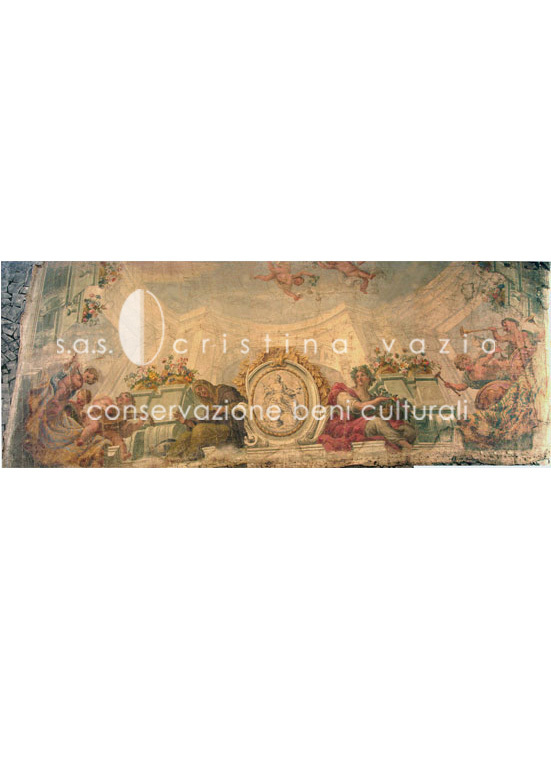 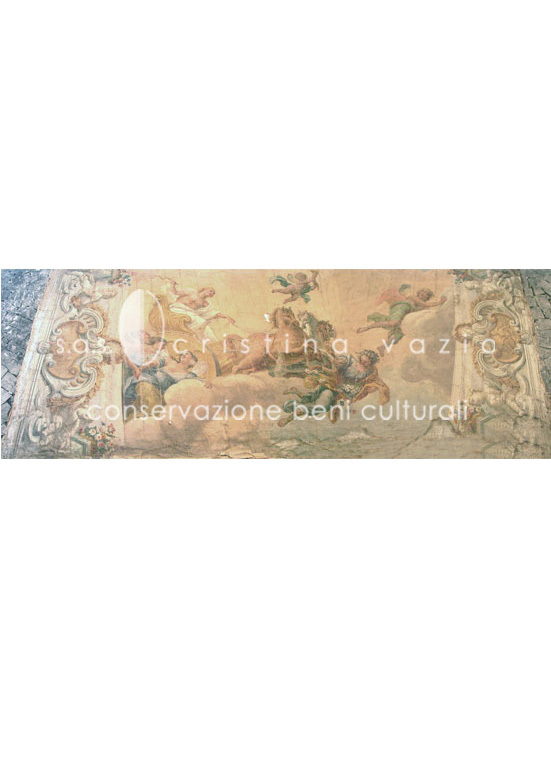 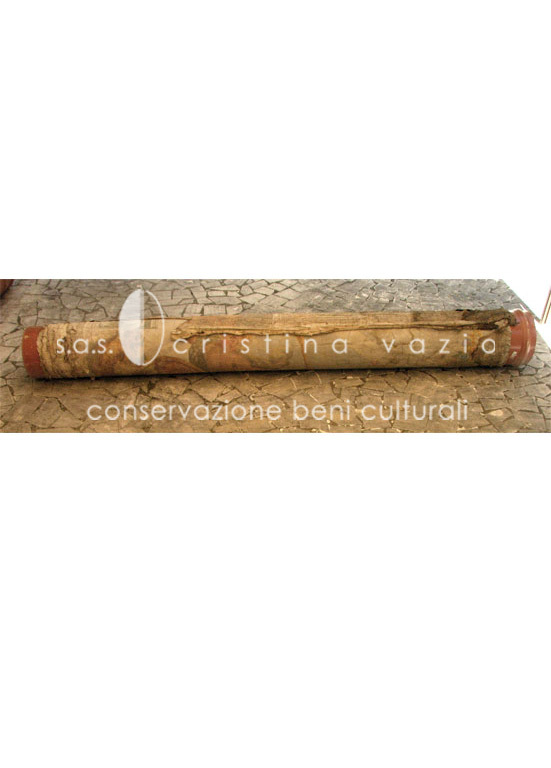 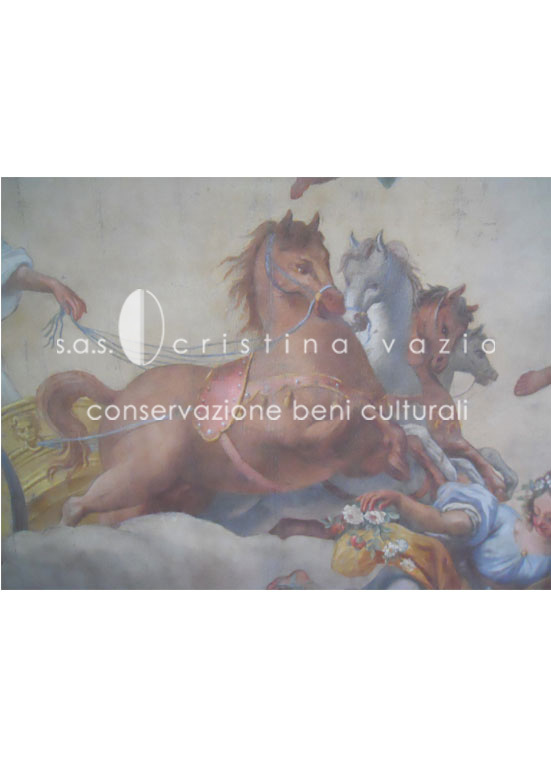 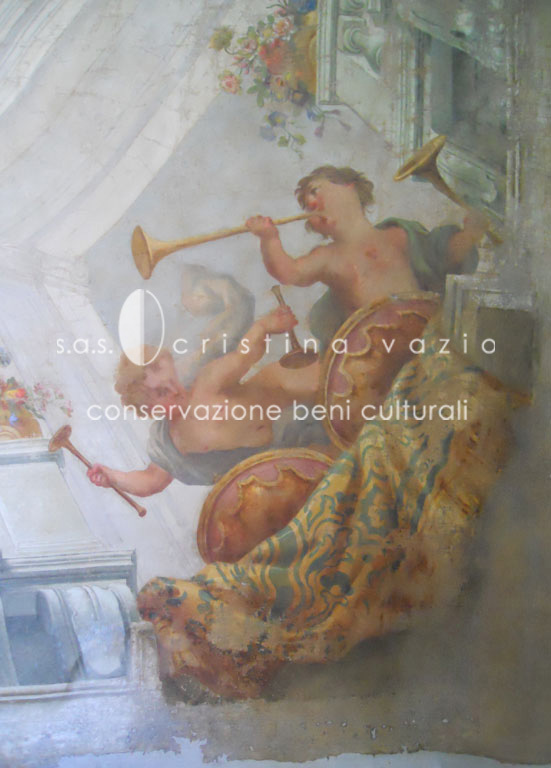 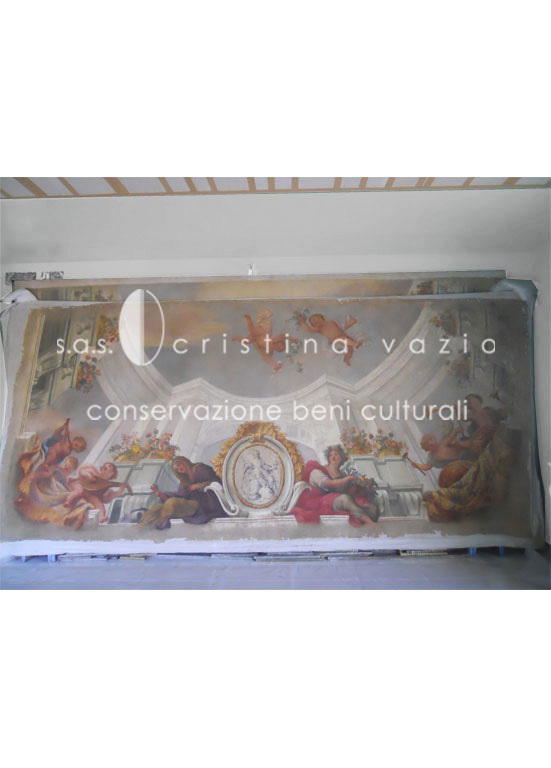 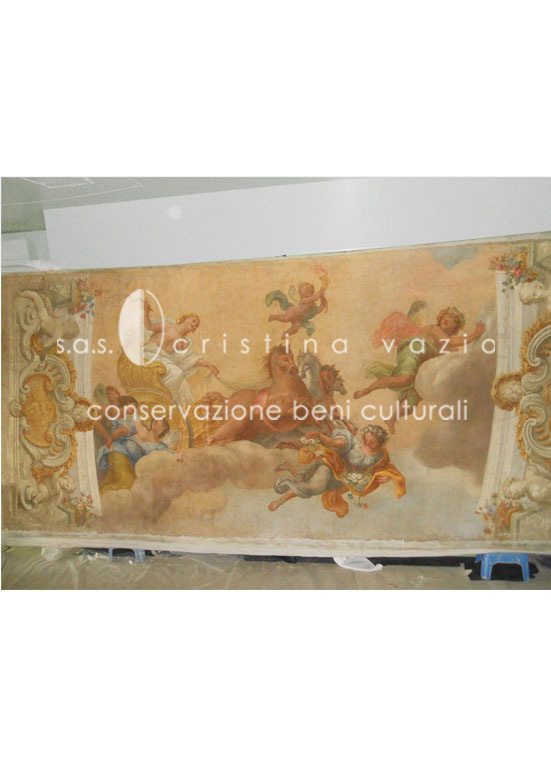 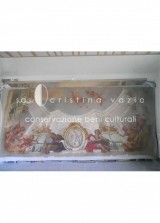 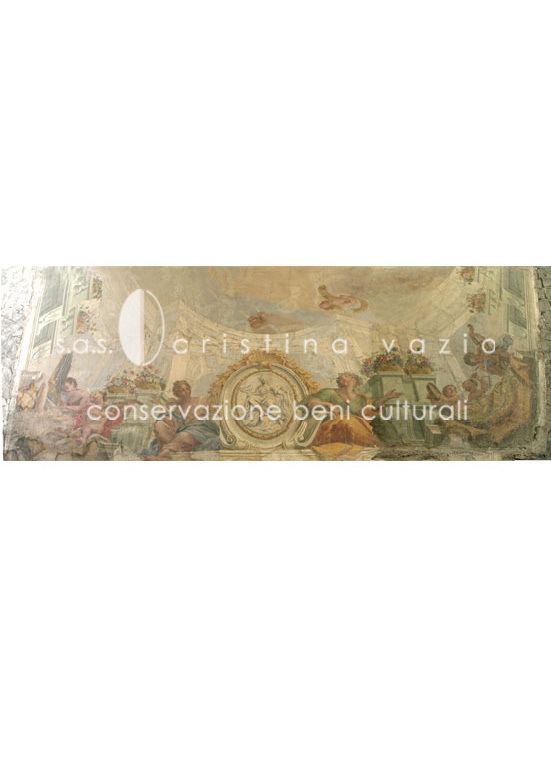 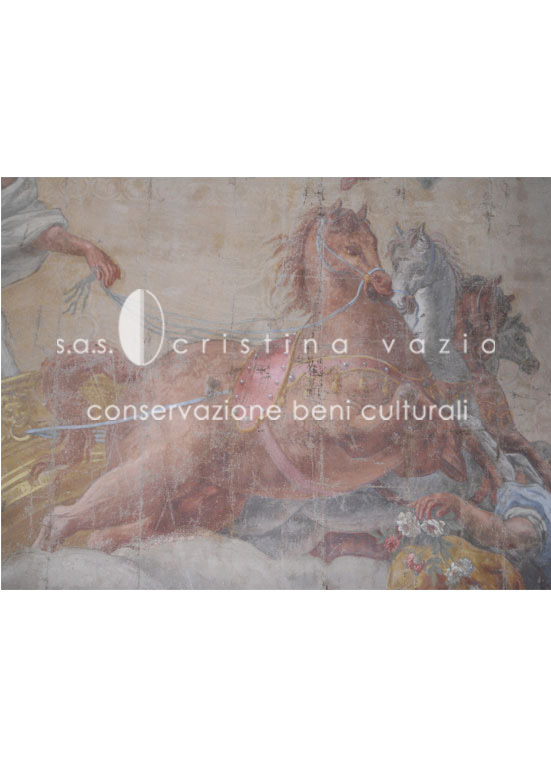 We were responsible for restoring three canvas paintings which were discovered rolled up in the cellar of a palace in Rome. 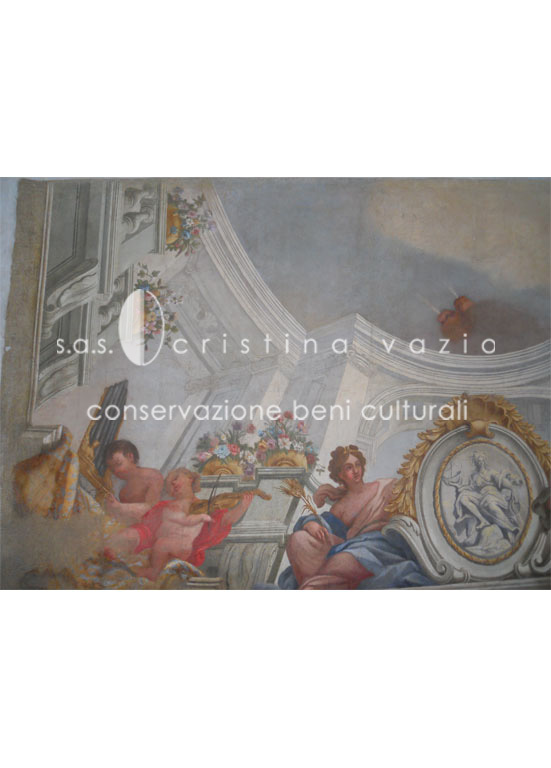 The paintings were part of a single artistic venture probably coming from another mansion. 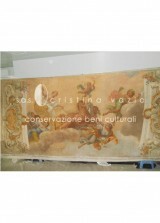 The images represent the triumph of Apollo on his chariot surrounded by an illusionistic type of architecture and female figures of the Four Seasons. 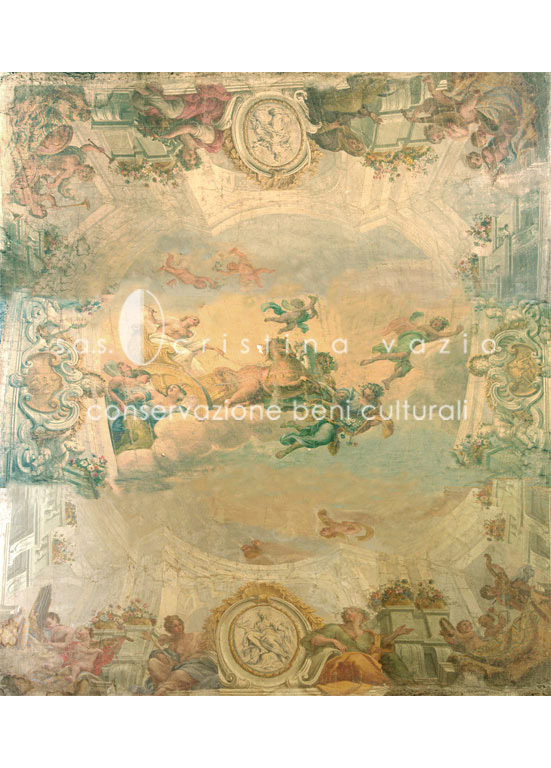 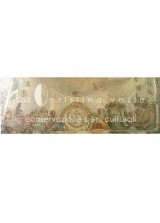 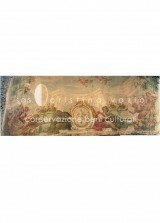 The work of art was originally displayed on a ceiling and possibly framed by painted wooden beams. 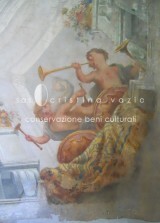 In all likelihood, an ornamental band continued the decoration onto the upper part of the walls. 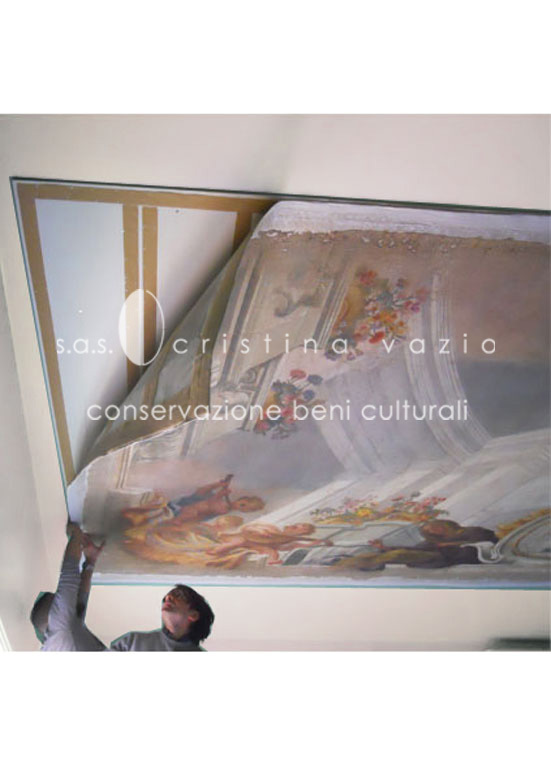 Our intervention consisted of the complete restoration of the three canvas paintings and their reassembling on various walls.